This month, the Trump administration moved forward with a plan to unravel aggressive federal emissions and fuel economy standards. The EPA and National Highway Traffic Safety Administration released a joint statement Thursday unveiling their plan to replace those standards with something much more lax. Automakers have argued since the passage of the more stringent standards that the costs of achieving such reductions in emissions and increased gas mileage would raise vehicle prices significantly. According to the EPA and DOT, the “preferred alternative” now to govern auto emissions standards is to freeze those standards at 2020 levels. EPA Assistant Administrator Bill Wehrum expressed the administration’s belief that the 2012 decision to implement aggressive fuel standards is no longer feasible, arguing that gas prices are still at historically low levels, which changes “what is possible in terms of vehicle fuel efficiency.” The NHTSA believes the proposed change will halt an estimated increased vehicle cost of approximately $2,340 per car this yera. The EPA argues this will lower vehicle prices across the board, allowing consumers to buy newer cars with better technology. 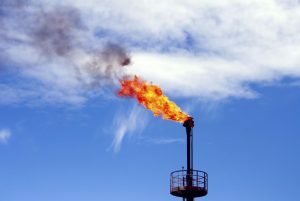 However, environmental interests believe the rollback is a “disastrous wreck for consumers and the planet,” according to president of watchdog group Public Citizen, Robert Weissman. A public comment period will last 60 days, at the end of which the administration will consider additional options, such as increasing fuel standards at a more discretionary level between 2021 and 2026.